As supply chains become more complex and globalized across road, rail, water, ports, and yards, it is more important than ever for shipping lines to have end-to-end visibility of their containers and the cargo they carry from the point of origin to the final destination, and everywhere in between. Full transparency is especially mission-critical for the management and control of refrigerated smart containers and other IoT-connected assets that transport temperature-sensitive, high-value cargo across international waters. 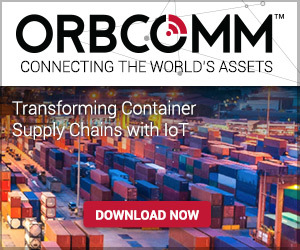 To help fill the traceability gap on vessels at sea and bring IoT connectivity to the sea leg of the supply chain, ORBCOMM is partnering with Vobal Technologies, a leading telecommunications service provider for the maritime industry based in Evanston, IL. 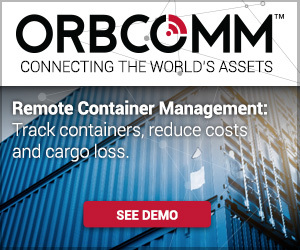 ORBCOMM is deploying Vobal’s CargoGSM™ network as part of its new VesselConnect solution, which allows shipping lines to monitor and control smart containers and their cargo on-board their ships. Vobal’s core GSM technology was developed specifically for use at sea, which means that not only does CargoGSM work with VSAT but also, uniquely, with FleetBroadband®. CargoGSM on board enables ORBCOMM’s VesselConnect to extend reliable network coverage throughout the vessel’s cargo spaces, above and below deck. Using Vobal’s system to plug the mid-ocean connectivity ‘black hole’, ORBCOMM can now provide shipping lines with end-to-end traceability of reefer containers throughout the supply chain both on land and at sea in real-time. 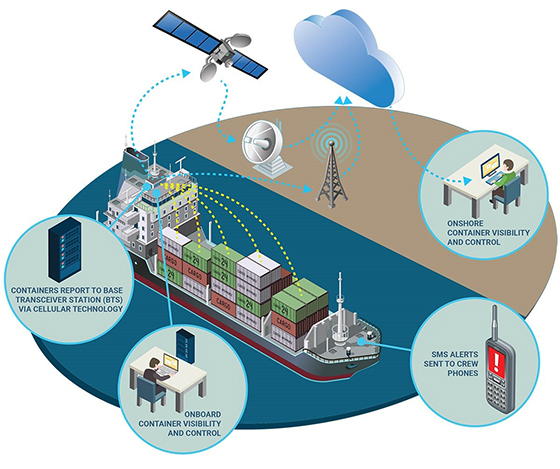 VesselConnect allows carriers to receive critical data from smart containers loaded on their ships, including reefer status, temperature and slot location, as well as to adjust reefer container set points and conduct pre-trip inspections on-board, reducing manual labor and expediting cargo distribution on land. The solution enhances crew efficiency and safety by eliminating the need to manually check reefer and other containers carrying perishable cargo. Status reports and alarms are automatically displayed on the VesselConnect console on-board and can also be viewed by shore-based personnel on ORBCOMM’s Cloud platform for immediate action. Early adopters of ORBCOMM’s VesselConnect solution include TOTE Maritime Puerto Rico, a premier shipping carrier specializing in moving cargo between the U.S. mainland and Puerto Rico. TOTE Maritime is using ORBCOMM’s connected container solution to reduce cargo damage, decrease operating costs, maximize crew safety and enhance customer service.